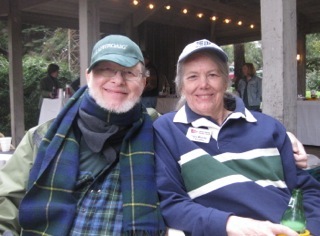 Long-time Back Creek Yacht Club member Gordon Bowie passed away January 5th, 2012. Read his obituary, below, as published on the website of the Montgomery Village Community Band. Born just outside New York City, Gordon Wingate Bowie spent his early childhood in Greenwich Village with his artist mother and newspaperwoman grandmother. Gradually the family moved first to the near suburbs of Long Island and eventually to Brightwaters, NY, farther out on Long Island’s south shore. Teenage summers visiting his grandparents in Maine attracted him to that state, where he settled after graduating as a music major from Colby College in Waterville, ME. Following a graduate degree in music education from the University of Colorado he moved back to Maine and spent the years until 1997 immersed in that state’s music scene: teaching at every level from K-12 to college; playing trombone in the symphony and brass ensembles as well as bass guitar in dance bands and jazz bands; and teaching a private studio on every conceivable instrument--all of which he could perform well enough to demonstrate proper technique to students. He was an accomplished harmonica player as well. 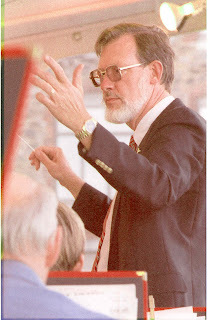 In 1993 he received his Ph.D. in music from the University of Maine.